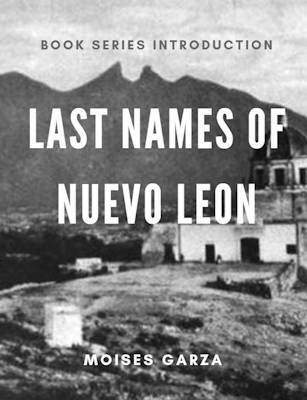 The Online Colonial Records for The Province of Nueva Vizcaya are a treasure to anyone researching Chihuahua, Durango, Sonora, Sinaloa, and part of Coahuila, Mexico. Last Thursday I found out about a very important collection that was digitized and is available online free of charge for this region. It is called the Fondo Colonial and covers the years of 1611 to 1821. I want to thank Gena Philibert-Ortega for sending me the press release for this important resource. I also want to thank everyone who took the time to post it also to the We Are Cousins Facebook Group and also to our Mexican Genealogy Facebook Group. I am writing this article a week late since I had to see how to use it and see how it can benefit you, I had to try it my self. 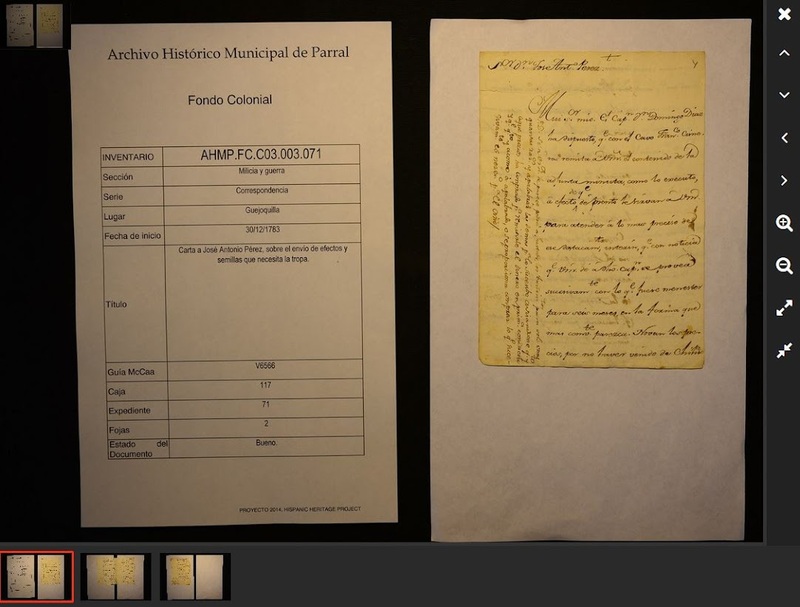 The Fondo Colonial has 8933 different documents but the current online collection is only one-third of it. The section of justice (justicia) has yet to be digitized but it is mentioned that they are in the process of digitizing it and will be available in the future. The collection for the Fondo Colonial is being hosted at Roots Point. First time I visited the website I almost missed the section to browse the collection. The second thing that I noticed there is no way of searching and you can only do browsing. This turns out to be a huge problem but I found a solution for you. 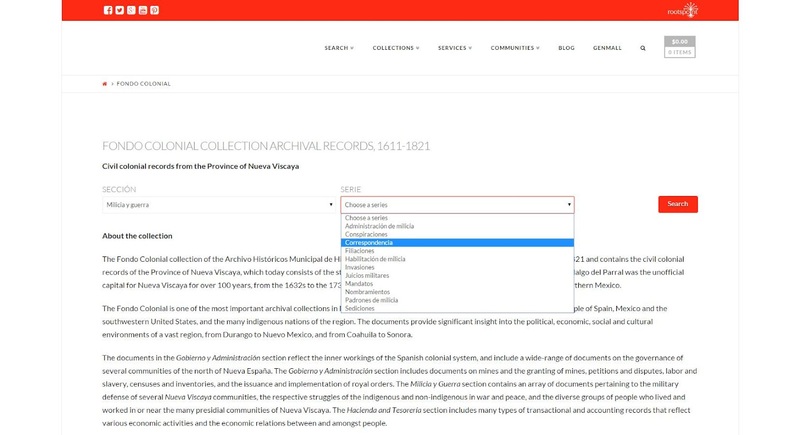 The Hispanic Heritage Project has the catalog in excel format and it can be downloaded here http://www.hh-p.org/cat225logodelfondocolonial.html Once you get your own copy, you can just click CTRL+F to easily search for your ancestor’s name or any other keyword that you may be researching. On the results click on the button that has the AHMP number you will be presented with an image browser that contains the record you just browsed for. Here is a picture of how it looks. 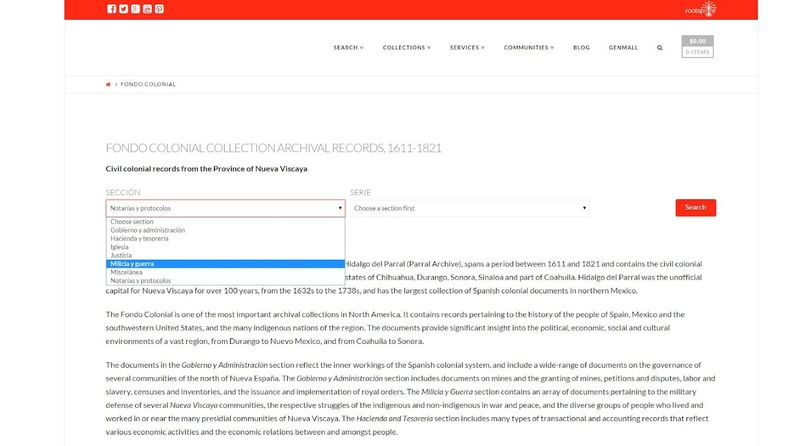 If you are searching ancestors from Chihuahua, Durango, Sonora, Sinaloa, and Coahuila, Mexico, make sure to check the Online Colonial Records for The Province of Nueva Vizcaya out. You never know it may just be what you were looking for. 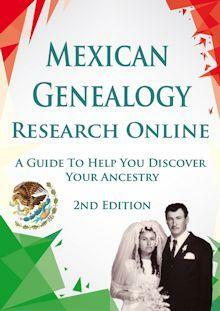 Also in the comments section of this post let me know if you find any ancestors in this awesome resource. 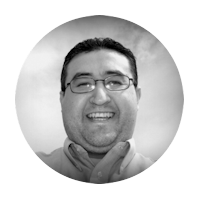 I am specifically looking for military records from 1600 in El Fuerte, Sonaloa or in the Alamos during that time. Are these records available anywhere? Thanks for any help. I do not know. You need to do a historical analysis of the area to see what government jurisdiction were available a that time period to get an idea where to look for records. It looks like that the catalog link is down :/ do you know if there is another place where I can still find the catalog or something? Looks like their server was not working. It is working now again. Hi, I was very excited to find this article, as well as the records index you mentioned for the Nueva Vizcaya records! However, when I click on the link and bring up the Catalog Index page, I see an Excel icon; but when I click on that, I get a: “Server Error: 404 – File Not Found” message. I don’t see any other way to download or access this index. I just checked it out and it seems that the index file is no longer available. If it comes back online I’ll post it here. OMGOSH! 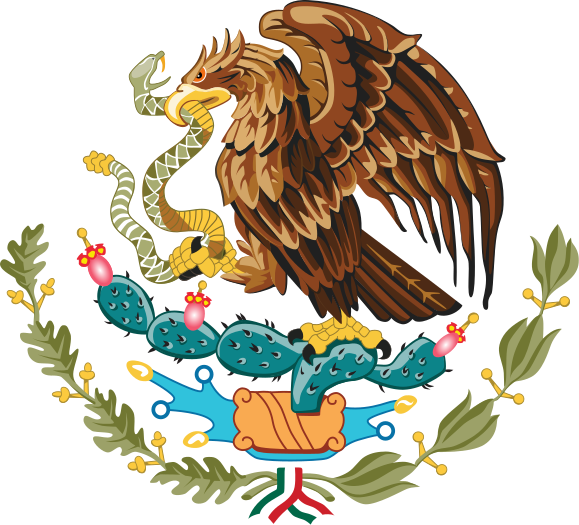 My great uncles have left their DNA all OVER Mexico! 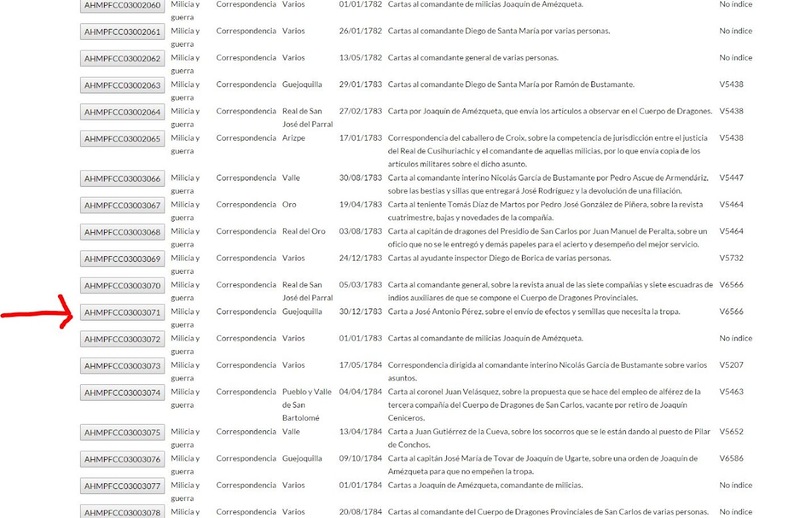 So there are a lot of Irish/Mexicans with the last name “Tays” in northern Mexico and I found THIS on Family Search; I’ll use the Colonial records to try to find Ancestors of Macario Famino and Crescencia Gamino and Catalina Hernandez. What parts of northern mexico? Ive tested my dna and am haplogroup df5 – only “Mexican” that has it in a group of scots and Irish. born, and later moved first to Saltillo and then to Monterrey. I wonder if you found documents about this family in Durango. Have you found any records that mention him and his mining activity? I would love to read them if any.